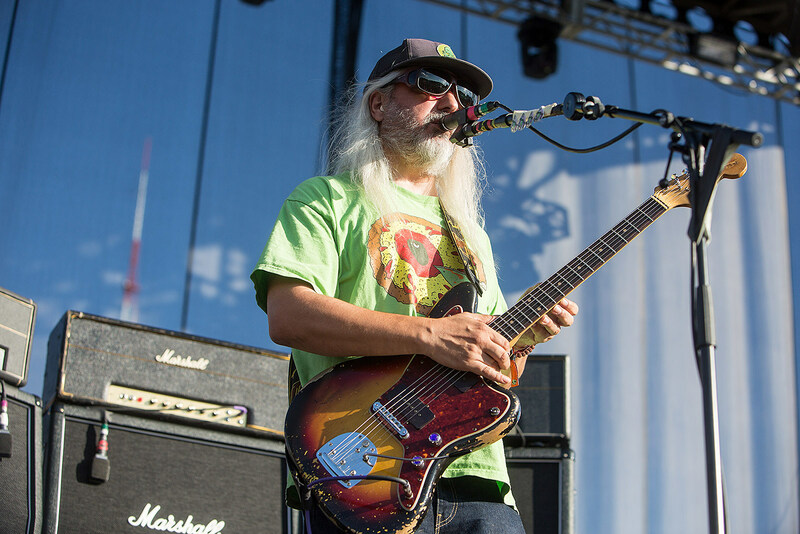 Veteran indie rock guitar shredders Dinosaur Jr. continue to bring the hits on their new album, Give a Glimpse of What Yer Not. Tonight’s the second of two BrooklynVegan presented shows at Irving Plaza. Sam France and Jonathan Rado are back a new Foxygen record (with The Lemon Twigs as rhythm section) on the horizon, that sounds pretty good what we’ve heard, and we’ll get to hear more of it tonight. They’ll be back in 2017 to play Terminal 5. The Hold Steady are on night two of their four-night run celebrating the 10th anniversary of the beloved Boys and Girls In America. Like at all four shows, there’s a surprise opener — any guesses? Here’s a clue. The opener goes on at 8:30 and THS are on at 9:30. Stevie Nicks was recently busy touring with Fleetwood Mac’s reunited classic lineup, but she’s got plenty of great solo songs as well and now she’s on the road playing those. She’ll of course break out a few Fleetwood Mac cuts tonight too. Opening the show is new wave/punk vets The Pretenders, who recently released their first album since 2008 (which The Black Keys’ Dan Auerbach produced). Composers and performers Missy Mazzoli and GABI join forces for a rare night of solo and collaborative performances exploring the ethereal fringes of electronic music, classical virtuosity, glitchy vocals, and extended techniques. Thalia Zedek’s new band E make fiery, shringy punk rock and don’t mince words — their debut album just came out via Thrill Jockey. The undercard tonight is solid, with the mutant punk of SAVAK and Operator Music Band’s spaceage bachelor pad music. Andra Day’s a powerhouse vocalist that kinda sounds like Rihanna meets Adele, and if that seems like a crazy suggestion, then you probably haven’t listened. Opening tonight’s show is Beyonce proteges Chloe x Halle, who you’ll probably like if you dig Bey’s last two albums. serpentwithfeet’s got a sound that’s sort of part R&B, part modern classical, and this year’s blisters EP on Tri Angle is very good. Minneapolis rapper Lizzo puts quite an interesting twist on the genre, as you can hear on her major label debut EP, Coconut Oil, which came out earlier this year. Sunnyvale hosts a pretty killer punk show tonight with Olympia, WA’s great Gag, catchy local band Vanity, and more. Gothic alt-country vets Slim Cessna’s Auto Club are back in town, and the great local band O’Death make for a very natural pairing. With Au Revoir Simone on hold, Annie Hart has gone solo, still making the spare synthpop ARS are known for but with a little more of a rock band backing. NOIA, meanwhile, fit right in on their label, Cascine Records, with featherlight dancepop. John Zorn’s “Dark River” from his 1995 album Redbird was inspired by the late Agnes Martin, whose work is in retrospective currently at Guggenheim, and this program serves as the premiere of two brand-new compositions also inspired by her work. He’ll perform in the museum’s iconic rotunda — sold out but there will be standby tickets at the door. This is Kevin McCaffrey’s “Serious Matters,” which is a “data-driven comedy show determined to solve the world’s issues one serious matter at a time.” Guests Jo Firestone and other will tackle “The Holidays” tonight. Legendary jazz pianist, composer and 22-time Grammy Award winner Chick Corea turned 75 in June, and has been celebrating this milestone with a series of dates at The Blue Note Jazz Club.